Historic Mountain Is Perfect For Seniors Who Like Mellow Skiing And Kid-Friendly Amenities. Cranmore offers a lot for seniors to like: Fun and varied terrain, manageable size, easy flat walk from parking lots and most of all, friendly vibe. I visited Cranmore on a Saturday with a group of senior skiers. Though busy, the main chair lift to the summit, a high speed quad, kept wait times short. A friendly lift line attendant ensured the line moved orderly and efficiently. There was no wait whatsoever at the other three fixed grip chair lifts. Several in the group commented that Cranmore is the perfect place to bring the grandkids. 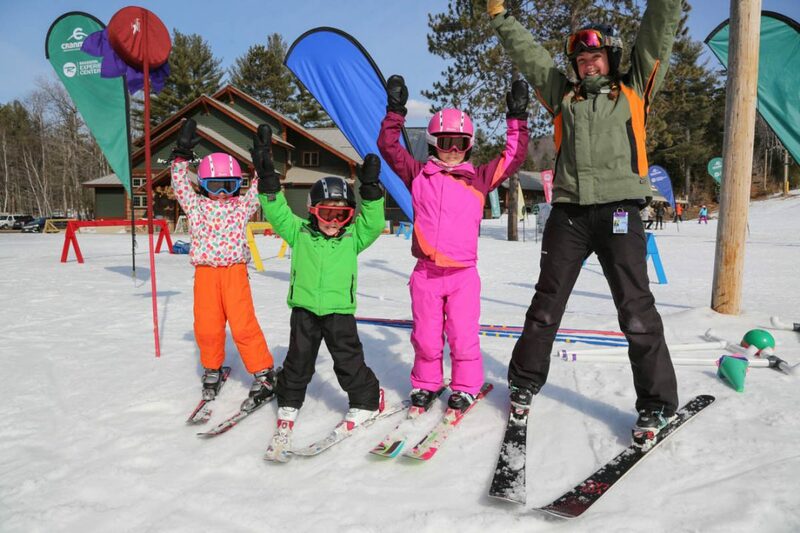 There is an award-winning ski school program including terrain-based learning, small terrain parks suitable for younger kids and numerous non-skiing activities to keep the grandkids entertained. The family vibe at Cranmore made us feel safe and free from constantly being on the lookout for reckless boarders and skiers. The mountain’s 1200’ vertical drop is enough to keep everyone entertained and the fact all trails lead back to the base means no one will get lost at the end of the day. Cranmore is located in North Conway which is a vibrant four-season vacation town hosting visitors to the scenic White Mountain region. There is no shortage of restaurants, ski shops, lodging, and shopping in North Conway. Cranmore feels intimately integrated into the town. It’s about one mile from the main street (route 302) to the resort, and it is immediately adjacent to one of North Conway’s neighborhoods. It makes everything feel real; no fake alpine villages here. 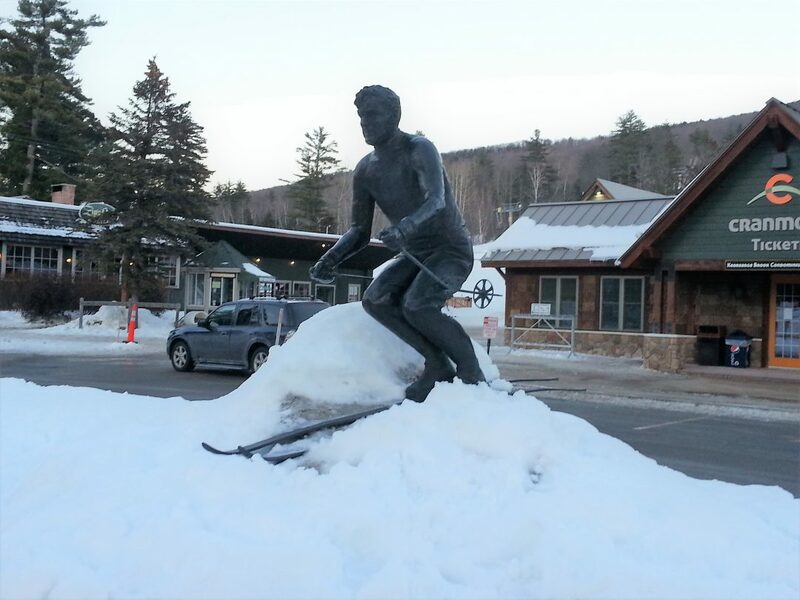 Cranmore has a rich history that I encourage you to check out. In doing so you’ll learn about Hannes Schneider who escaped Nazi-occupied Austria, later trained soldiers of the famed 10th Mountain Division, and operated the ski school at Cranmore for years. You’ll also learn about the Skimobile lift that operated at Cranmore from 1939 to 1989. One of the original skimobile cars is on display in front of Zip’s Pub and Grill (Zip was Hannes’ nickname) which is just a few steps from the lodge. In the video clip my brothers and I are riding the Skimobile in the mid-sixties. Ticket window price for seniors (65+) is $52. Online ticket prices can be much lower, especially mid-week. Discounts are also available through area hotels and inns. I will forever be grateful to my Dad who took me on the ski train from Boston in February, 1950 to stay at the Eastern Slope Inn and go to ski school at Cranmore Mtn. I even got a lesson from Othmar. Getting on that skimobile with 6 foot plus wooden Northlands and bamboo poles was always a challenge. Thanks for the reminder. Great historic footage of you and your brothers, Don.